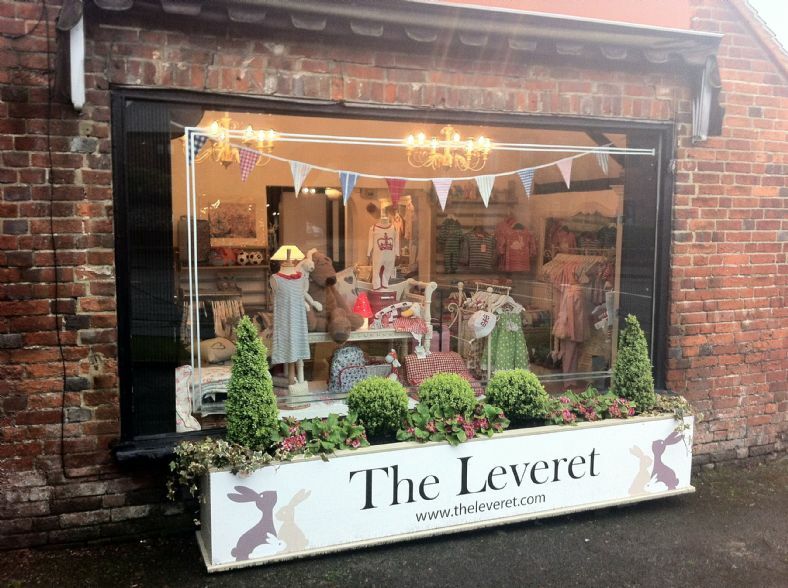 The Leveret is a family run business which opened in March 2012. We love finding clothes for children that are stylish yet fun & playful to wear. We have two 100% organic cotton ranges in Frugi & Kite Clothing both of which are designed in England. We go to trade shows at every opportunity to see if there are any new designers out there that we think you might like - hence our shop has a superb mix of classic, contemporary and exciting designs for you to choose from. Our shop is absolutely stunning - although I would say that! Julie, who works with me, is brilliant at merchandising our collections & somehow manages to come up with one stunning window display after another. We sell an eclectic mix of gifts for everyone, so even if you don't need anything for the children or grandchildren, there is always going to be some new, unusual gift waiting to be found. There is a gorgeous little cafe which serves toasted sandwiches & homemade cakes. So, with the free parking right outside the front door, a cafe, some fantastic childrens' clothes, ladies fashion, hairdresser & beauty rooms, all in the same building - what are you waiting for - come & visit us - but do allow a little time as there is loads to see & do.